Bass guitar is one of the most underrated instruments. The core of the rhythm section of a band and an instrument many of us love. 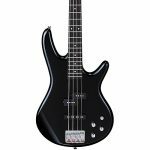 As an instrument to play, bass guitar is pretty popular, and those playing it are often looking for the best accessories to ensure the nicest sound and utmost comfort. For that, the best bass guitar straps are essential. If you’ve ever been unfortunate enough to go through hours of practice or gigs with a strap that cuts into your shoulder then you will understand why people are looking for quality, comfortable straps. Comfort. The extra weight can be a strain on your shoulders. As you can imagine, a thin, poor quality strap can dig into your skin and leave nasty marks as well as distract you from playing. Stability. Of course, you need a stable strap that keeps your instrument in place correctly while gigging or practicing. Adjustability. The ability to adjust your strap to your own specific preference and body height and shape, as well as the length of your bass. Different lengths work for different people, and you certainly need a strap that comes in different sizes, if not one that is totally adjustable. Every time we’ve talked about Guitar straps here on Subreel we’ve found ourselves recommending the KLIQ AirCell. A quick look at some consumer reviews will most likely show you why. This is possibly the most intelligently designed strap we’ve seen for instruments. The brand has seen some problems with bass guitar playing and has truly solved them. The air cells on this strap are designed to contain air and provide cushioning on your shoulder while you play, and they do exactly that, making your bass feel almost lighter in the process. 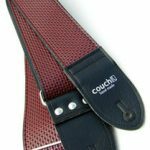 As well as this, the neoprene fabric of the strap is three inches wide, this helps to evenly spread the weight of your guitar or bass and take some of the strain off of your back. As well as helping with the weight of your instrument and the comfort factor, the manufacturers have cleverly included ‘moisture wicking’. This means that the material is designed to wick away any moisture provided by sweat, something that is especially likely if you are gigging. The build quality is exceptional, and it is available in different sizes as well as being adjustable. You can alter the length to suit your body whether you are the shortest or tallest bass player! You don’t have to take our word for it on the Kliq AirCell as so many of the reviews online are hugely positive, with people noting how much more comfortable it is, and the simplicity it can add to your playing. Many people swear by leather straps for guitar and bass. This product is advertised as being suitable for both bass and electric/acoustic guitar, and this is because it is incredibly adjustable, meaning that it can be fitted to instruments of all different sizes, be it short scale guitars or full-sized bass guitars. A strong and supportive strap no matter what size you have it at. We have chosen this as one of the best leather straps for a few reasons. Firstly, it is very well-made, constructed in North America out of great quality, full-grain, and genuine leather. It has also been designed with no metallic bits, meaning it won’t scratch your instrument. This is great for those of us who have spent a lot of money on our bass! This is adjustable from 33 inches all the way up to 55 inches, great no matter what height you are and whether you play sitting or standing up. On top of that, the thick leather design distributes the weight evenly for comfortable playing. It might not be quite as easy on the shoulders as the AirCell model, but it certainly isn’t painful, and the class of the leather makes this a popular bass strap. Ernie Ball is a brand name that most guitar players will come across at some point in their life. They manufacture everything from strings to picks and of course, straps. We wanted to include a strap option for beginners or those who are looking for a cheap bass strap, and the Polypro model from Ernie Ball may fit the bill. In spite of its affordability, this does have some decent features. It is adjustable from 34 all the way up to 68 inches, which is a very impressive range of lengths. It has genuine leather ends, and polyprene webbing for the rest of the material. On top of these features, the Ernie Ball strap is available in loads of different designs, so you can choose something to suit your own preferences. 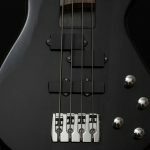 Realistically, if you struggle a lot with weight-bearing and pain when playing your guitar or bass, it may be worth spending a little more to get something more comfortable. 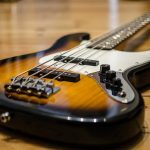 If this isn’t an issue for you, this can do a decent job for gigging and practice whether you play a budget bass guitar or a more expensive model. This is one of the products in the world of music which has a huge amount of variation in terms of the price point. You can pick up a decent enough strap for under $10 if you simply want a basic model, but if you’re looking for more in terms of comfort and style, they can cost up to $50 and even more. Leather straps are certainly not cheap, especially if you want high-grade leather, and some of the more hi-tech models with advanced features such as cushioning can cost a fair amount too. Fortunately, there is something to suit every budget, and every bass, whether you are doing things cheaply and playing a budget Squier bass, or you’ve gone all out and bought an expensive Rickenbacker! There are a few materials which are most popular in terms of bass straps, and other guitar straps. Leather straps are perhaps the ‘traditional’ way of doing things. Some people aren’t keen on leather straps for ethical reasons. There are other options out there, and more materials have been growing in popularity including canvas and neoprene. These are often more affordable than leather. The material is important not just for build quality, but for looks. The look and feel of your strap can be a big deal, and buying the right strap to suit your style is key. If you are in a death metal band, a pink fluffy strap might not suit the image you’re trying to portray. There are many different designs out there for guitar straps whether you play bass, acoustic or electric. 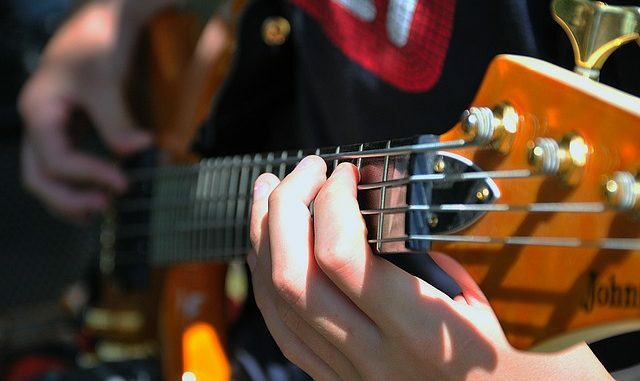 There is even a specific art to setting up a bass guitar or electric guitar strap! Check out this video from Justin guitar, which will walk you through the optimum strap positions for playing your instrument. The bass straps mentioned in this article cover a variety of different materials, prices, and features. There is something to suit every style and budget here. 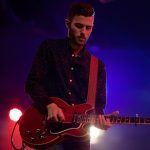 At a glance, bass guitar straps might seem like a relatively simple thing, but the more we play the more we realize that everyone has their own needs and preference. If you have anything to add or experience with other guitar straps, feel free to leave your two cents below in our comments section! 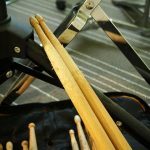 The Best Drum Stick Bags – Bag it Up!